Owned by renown physical therapist and founder of the Whelton Myofascial Referral Technique™ for immediate pain relief. Dr. Whelton was formerly on medical staff for NFL Super Bowl XXXVIII World Champion New England Patriots. Dr. Whelton teaches this revolutionary new treatment method to other physical therapists and chiropractors in Tampa and Lutz, FL as well as from all around the world. We were voted best physical therapist in Tampa and Wesley Chapel FL 3 years in a row. Proudly serving; Tampa FL, New Tampa, FL, Tampa Palms FL, Wesley Chapel FL, Lutz FL, Land O’Lakes FL, Brandon FL, Carrollwood, South Tampa, FL. Physical Therapy in Tampa and Lutz offers Immediate Pain Relief from Dr. Whelton’s groundbreaking discovery of a new type of system in the body. Get a free screening now, What do you have to lose? 75% of our patients have literally tried everything including (outpatient physical therapy, injections, surgery, medications and chiropractic in Tampa, FL, Lutz, FL and communities beyond. Of that 75% we can get over 90% of those people better, so save money come here first! We are not an average physical therapy clinic and our results prove it. Our Dr. Ryan Whelton has developed an recently unveiled this incredible method for instantly relieving pain and promoting faster healing. He developed this breakthrough treatment method by drawing on his experiences working in the NFL, with the NBA and more, utilizing the latest ‘traditional’ physical therapy treatment methods combined with an amazing approach of relieving pain to virtually anyone, anywhere on the body! 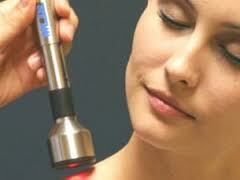 You cannot not find these treatments anywhere else in Tampa, FL, Lutz, FL or the United States. Do you or anyone you know suffer from one of the following ailments or injuries? Physical Therapy in Tampa FL, New Tampa FL and Wesley Chapel FL is Being Redefined! Revolutionary pain relief treatments that work immediately are available only at Sport and Spine PT (Physical Therapy). You will love that it is gentle and very affordable, whether you have insurance or not. Physical Therapy in Tampa, Lutz, Land O’ Lakes and Wesley Chapel is not the same everywhere you go. Dr. Whelton and the Sport and Spine PT and Wellness Center team are caring and compassionate yet they are the best at what they do. The treatments being offered here by their licensed physical therapists range from immediate back pain relief to sports therapy. You’ll find some of the best physical therapists FL and the U.S. has to offer, and you’ll find services and treatment methods literally not being offered by any other facility, anywhere. If you are looking for instant relief and improve the quality of your life, we guarantee you will find that we are the best physical therapist clinic in Tampa, FL and Lutz, FL at our physical therapy facility. So, call now and get a free screening to determine if we are the right place for you! Sport and Spine Physical Therapy and Wellness Center has been recognized as one of the top Tampa Physical Therapy practices. Ryan Whelton, DPT has developed a breakthrough way to instantly relieve pain, increase range of motion, decrease muscle spasm and accelerate healing.